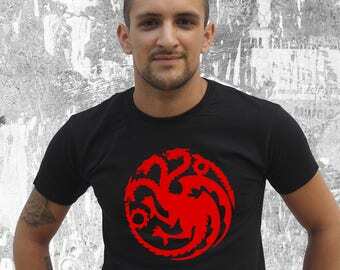 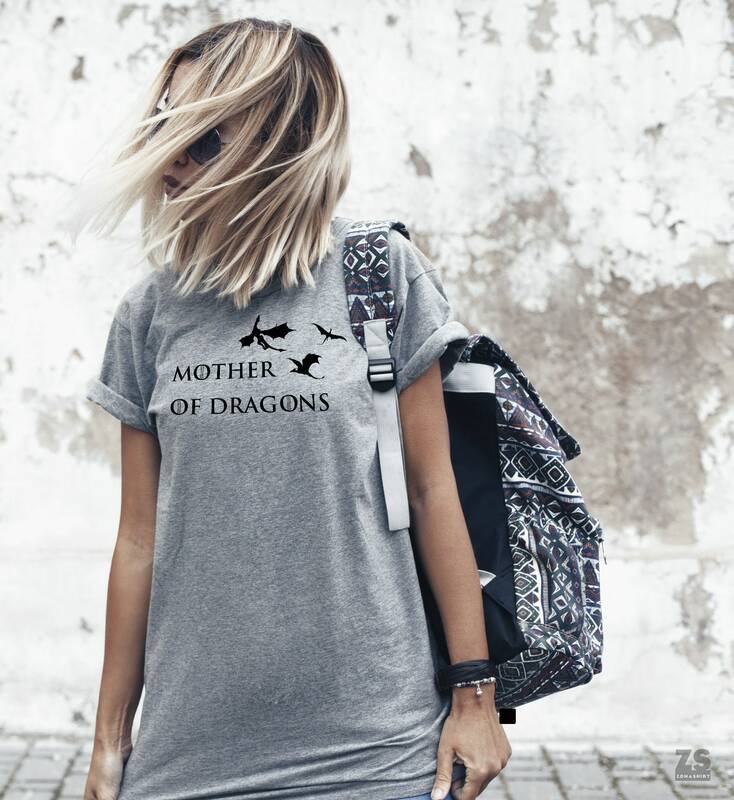 T-shirts inspired by the Game of Thrones series: Mother of dragons design. 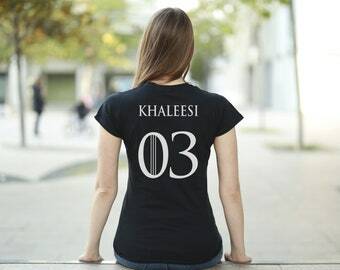 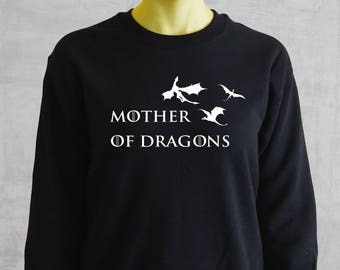 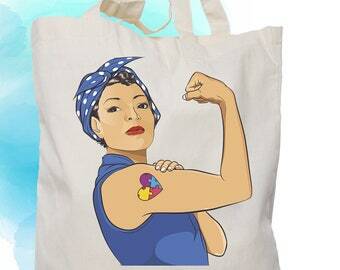 Basic t-shirt, personalized with the design Mother of Dragons. 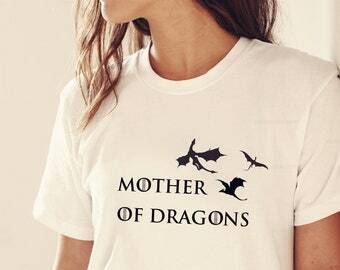 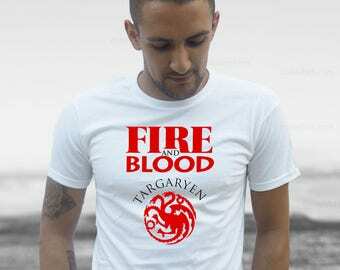 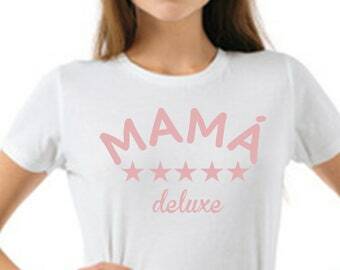 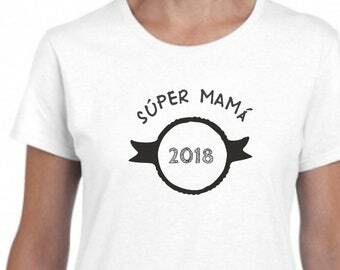 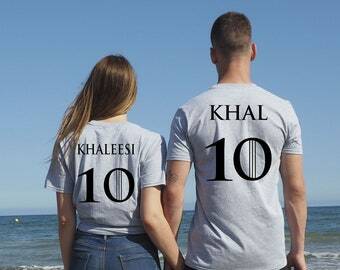 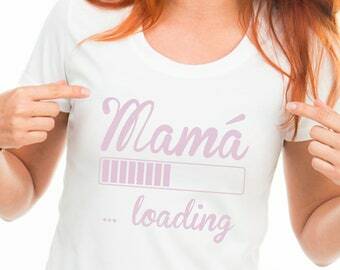 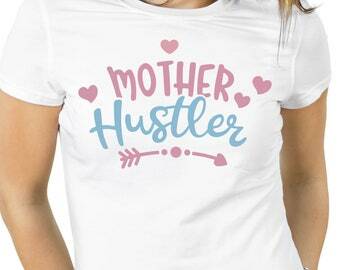 White basic t-shirt, personalized with the design "MOTHER OF DRAGONS"